Once addon is installed you can start with managing User Fields in Dashboard > Forums > Member Fields admin page. Here you see all available fields. These are default wpForo user fields. 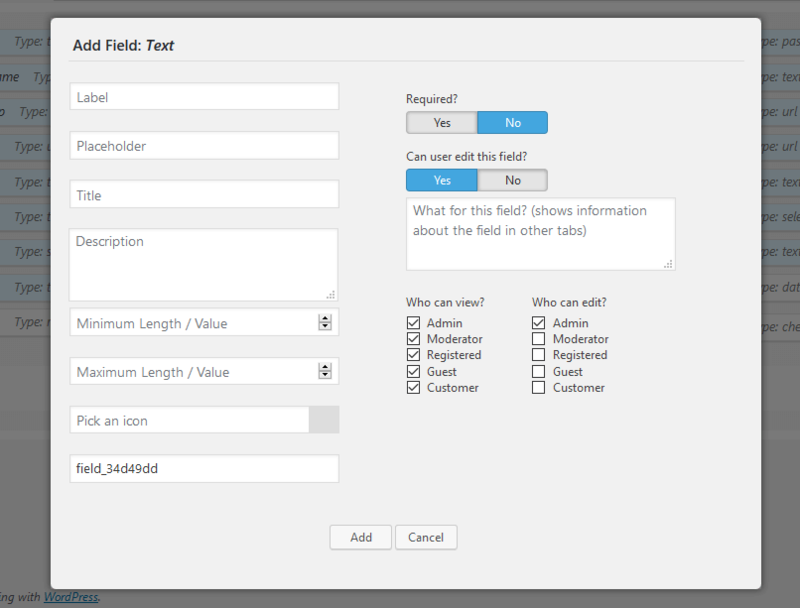 Here you can manage fields settings (label, description, placeholder, icons…) and add/remove custom fields. This is a field manager page. On other tabs you’ll be able to use these fields to build certain form. All changes in fields settings made here, affects fields in all forms of next tabs. Fields with light blue background aredefault fields. They cannot be deleted, but you can add/remove them from certain forms in next tabs (Register form, Account form, etc…). 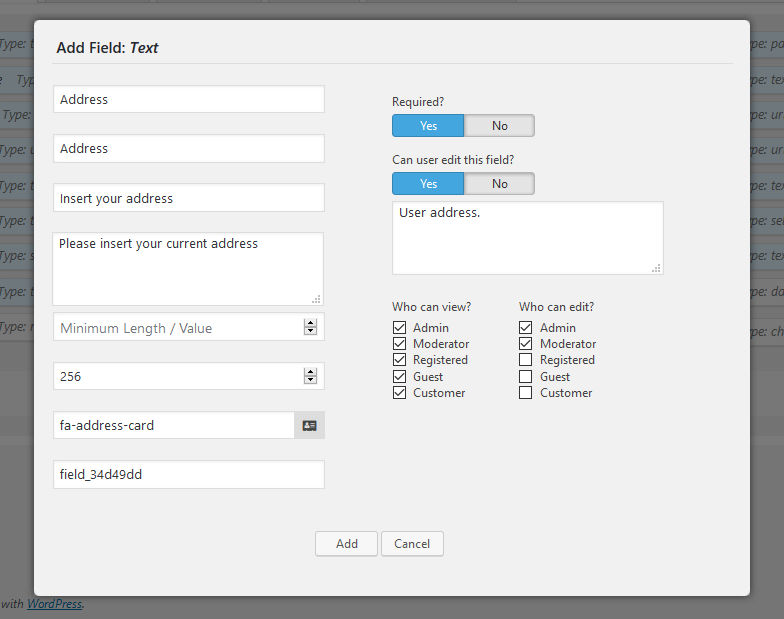 Once you’ve created new fields and done all necessary customization click on [Save Changes] button. Now you can navigate to next tabs to customize Registration, Account and Member Search Forms, as well as the User Profile page fields. Please be careful with [Reset] button. It removes all custom created fields and restores the default values of all fields.